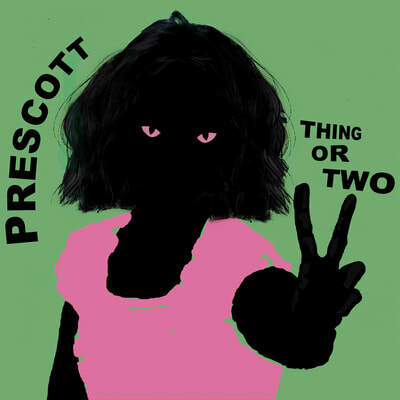 Prescott is the brainchild of former Stump bassist, Kev Hopper. Hopper’s distinctive bass style was one of the most striking elements of Stump’s sound during the 1980s; since then he has produced numerous solo albums and more experimental work with the laptop quartet, Ticklish – but the all ­instrumental Prescott signals a halt to Hopper’s, abstract, atmospheric electronica and a return to working with a full band. In Prescott, he is joined by two formidable musicians. On keys is Rhodri Marsden, Scritti Politti member and indie veteran who worked on Kev’s 2001 album “Saurus”; on drums is Frank Byng [Snorkel, Crackle], a dynamic, prodigious musician who also runs Prescott’s label, Slowfoot. Frank’s groovy, funky, explosive drums, Rhodri’s precise keyboard work and Kev’s characteristic bass playing meet all the Prescott objectives: jabbing heteroclite riffs, circular rhythmic patterns, vibrating harmonic clashes, irregular note intervals, all contrasted with pockets of beautiful melody. 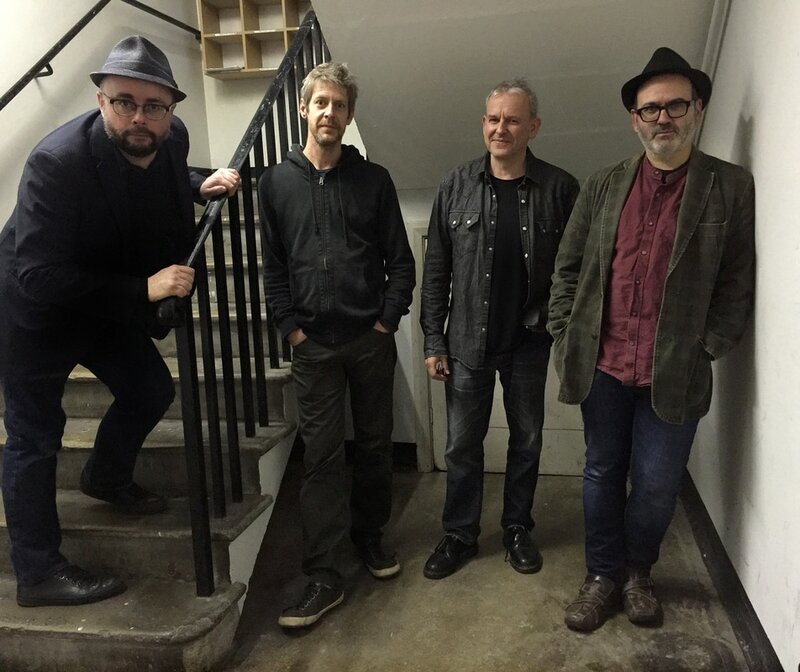 The band’s minimal approach has occasionally caused puzzlement at gigs when their strategy of ‘micro-­riffing’ is deployed: playing a tiny portion of a track without variation for as long as they can hold their nerve. In an age where loops are commonplace it’s rare to find a band imitate a machine in a live context. “Play it till it feels uncomfortable”, Hopper has told the band. “Our time is different from the audience’s time”. Why would a band want to do that in the first place, you may ask? Well, it’s partly for fun, and partly as a tribute to the band’s namesake, the former honourable Member of Parliament for Hull East, known for his unintelligible conference speeches and bruising, bullish manner. Funky beats and discordant riffs? Simple themes played a semitone apart? There are plenty of art­-rock precedents; Palais Schaumberg, Can, Soft Machine and The Residents to name but a few. 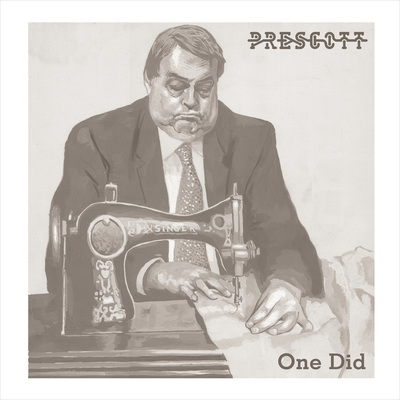 Prescott serve up their own, discrete take on the genre with their first recording, 'One Did' on Slowfoot Records. Subsequent to the release of their first album, Prescott acquired a fourth member in Pere Ubu’s Keith Moliné and a newfound affection for twangy guitar tunes. The band will release their second album 'Thing Or Two' on the Thoofa label on May 1st 2017.